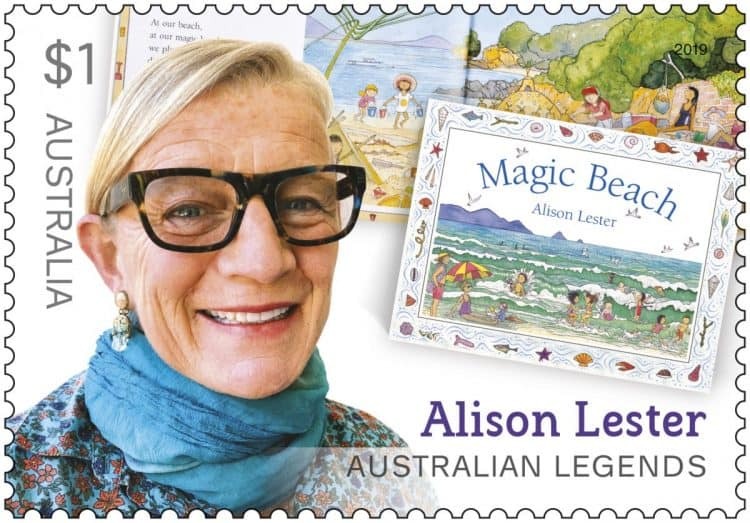 THE face of renowned children’s author and Fish Creek shop owner Alison Lester is set to adorn a new Australia Post stamp. The stamp will form part of the 2019 Legends of Children’s Literature series, with four other famous Australian story tellers – Mem Fox AM, Morris Gleitzman, Leigh Hobbs, and Shaun Tan – also honoured. The news comes on the back of Alison winning the coveted Melbourne Prize for Literature late last year. Australia Post Executive General Manager Community & Consumer, Nicole Sheffield, said the writers had been recognised for their part in shaping the social and cultural life of Australia. Alison said she was “pinching” herself following the announcement. “I feel very lucky to be in such great company,” she said. But Alison’s project manager, John Cooper, believes his boss is deserving of any accolades that come her way. “I’m not surprised about the elevation to ‘Legend’ status. Every day people come into the Fish Creek shop and tell me how important Alison Lester books are and have been to them and their children for so many years,” he said. Now in its twenty-third year, the Australia Post Legends Award celebrates living Australians who have made a unique contribution to the nation through their field of endeavour, inspiring the community and influencing the way Australians think about themselves and the community. The 2019 Australia Post Legends were honoured at official Australia Day Council events hosted in Melbourne and Sydney last week. Each Legend was presented with a 24-carat-gold replica of the stamp on which they are represented. The 2019 Australian Legends of Children’s Literature stamp issue comprises of five $1 stamps, a first day cover, stamp pack, maxicard set, five booklets of ten $1 stamps, and a booklet collection pack. The stamps and associated products are available at participating Post Offices, via mail order phone 1800 331 794, and online at auspost.com.au/stamps from 17 January 2019 while stocks last.